The work of the Munk School of Global Affairs is supported by philanthropists who believe that one powerful way to change the world is this: make sure exceptional students have access to extraordinary opportunities – in the classroom, across campus and around the world. This year, three new scholarships were established to recognize outstanding students in the Master of Global Affairs (MGA) program, and to honour notable Canadians. These awards were presented for the first time at the MGA Graduation Reception in Spring 2018. The Peter Mansbridge Gold Medal was established on July 1, 2017, by friends of Peter Mansbridge. The donors wished to honour Mr. Mansbridge’s 29 years as editor-in-chief and anchor of CBC’s The National, to recognize his extraordinary accomplishments as a journalist and broadcaster, and to celebrate, on the eve of this country’s sesquicentennial, his passionate commitment to Canada. The inaugural medal went to Benjamin Windeler, who had the highest academic standing in the MGA program at the Munk School of Global Affairs. The George B. Kepes MGA Leadership Award was established by recent graduate David Kepes (MGA 2013) and his father, Robert Kepes, to honour their grandfather and father. George Kepes’ family was almost decimated during the Holocaust; he later made a dramatic escape from Hungary to Canada during the Hungarian Revolution of 1956. He retained a lifelong fascination with world events, to which David partly attributes his own interest in a career in international relations. David cites his grandfather’s support and encouragement among the primary reasons he pursued a life in public service. Establishing this award was a way to recognize and honour this family history, while supporting other individuals in their study of global affairs. 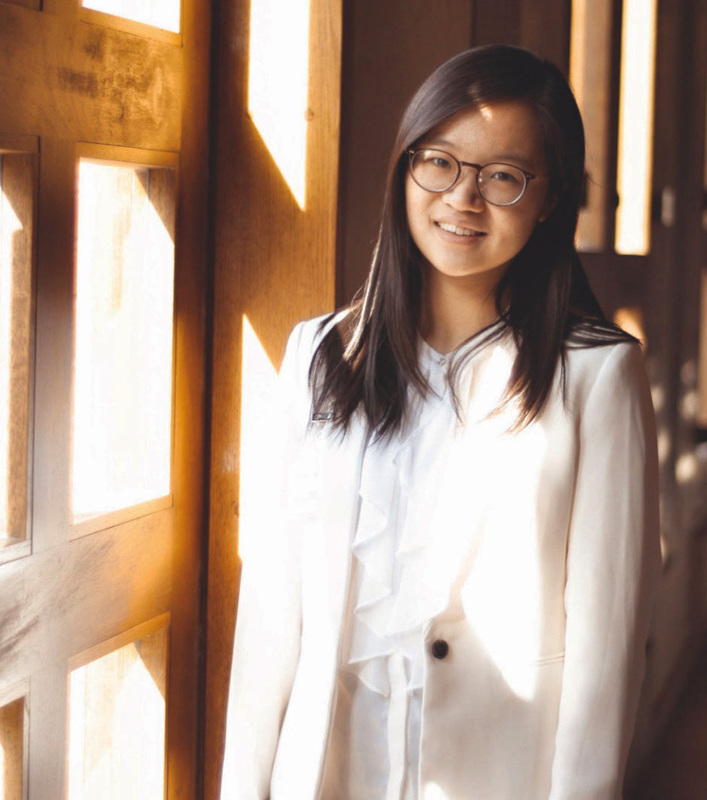 The award will recognize a graduating MGA student who has made a meaningful contribution to student and extracurricular life at the Munk School of Global Affairs. 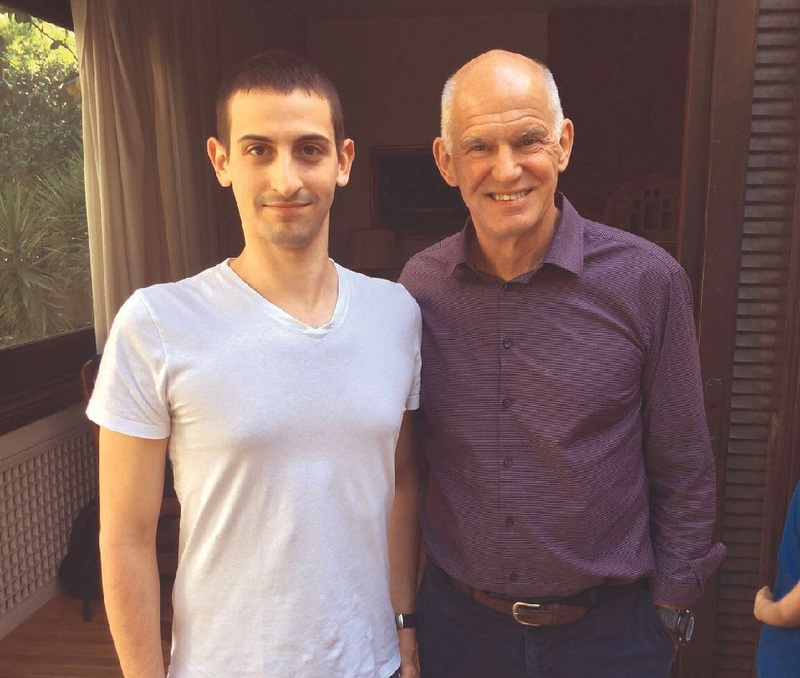 Enis Alaluf with former Greek prime minister George Papandreou. Pandora Ziu met with former president of Albania Bujar Nishani during her student exchange in Tirana. The Munk School of Global Affairs is grateful to our scholarship donors; their generosity not only helps to fuel student success, but also gives our entire community an opportunity to support and celebrate the excellence of emerging leaders. This year, two students – Enis Alaluf and Pandora Ziu – received the Veneta Elieff and Danny Filipovic Graduate Award. 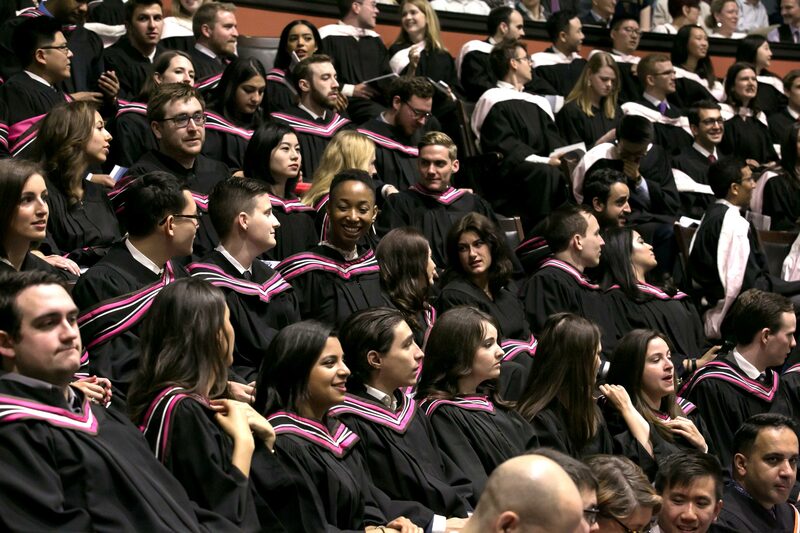 The award supports Master of Arts in European and Russian Affairs students from the Munk School’s Centre for European, Russian, and Eurasian Studies (CERES) who are pursuing research, a student exchange or an internship in the Balkans. Ziu completed an internship at the High Council of Justice in Tirana, Albania, in a department that evaluates citizen complaints against judges. Alaluf completed an internship at the Hellenic Foundation for European and Foreign Policy, an Athens-based think tank; his work focused mainly on relations between Turkey and the EU. Alaluf notes that without the scholarship, he would have missed out on a vital opportunity to “learn the fine points of policy-making and explore the fascinating city of Athens….We [students] are really grateful.” Created by Danny Filipovic in memory of his wife Veneta, the award was intended to memorialize Ms. Elieff’s lifelong dedication to her home country of Bulgaria. Mr. Filipovic, who was born in Serbia, escaped to France in 1952 clinging to the underside of a Paris-bound train, and built a successful life in Canada, died this year at age 90. The Munk School of Global Affairs would like to express our sincerest gratitude to our generous donors for their support. The following listing includes all philanthropic donations made to the Munk School of Global Affairs from May 1, 2017, to April 30, 2018.